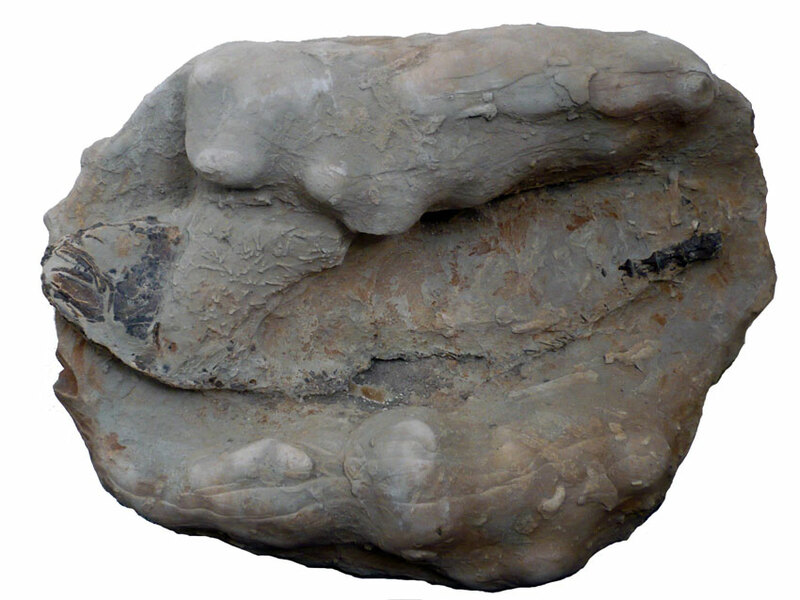 An almost complete fish, almost unique for Sheppey, encased in a large septerian concretion. Notice the bioturbation on the matrix covering the body of the fish. 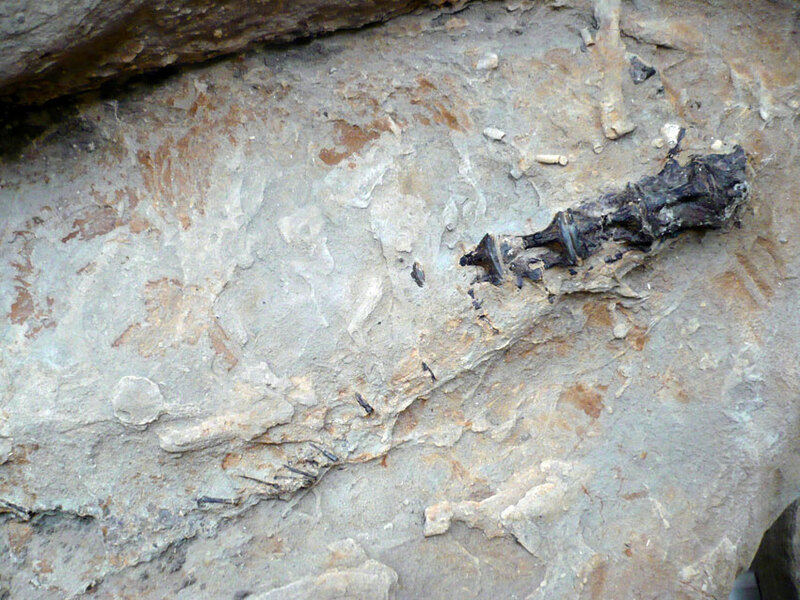 This is an image of the fish as found with no prep work as yet carried out. 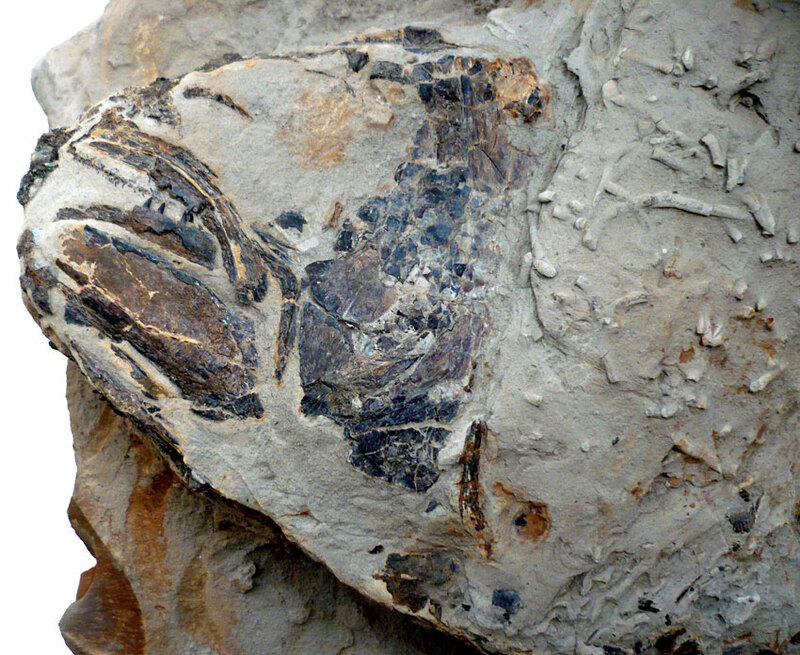 Below are detail photographs of the head and vertebra exposed on the surface of the concretion.